One lovely autumn day long, long ago, my Grandma, the dearest stubbornest little old Chinese lady that ever was, decided enough was enough! She had waited and watched over the large pear tree in our neighbor's yard, just drooping with ripe juicy fruit, for days upon days. Our neighbors evinced no interest at all in their luscious pears and they were starting to fall to the ground and rot. Waste not, want not was ever my Grandma's motto, and so very early that morning she, a little old Chinese lady armed with a big long stick, marched over to our neighbor's garden fence and began to knock those juicy pears right out of the tree. Whatever fell outside the fence was hers and she came proudly home that day with huge bagfuls of pears. My 爸爸 was so exasperated! "You could have been shot!" he huffed. But Grandma didn't care one whiff and soon a delicious potful of Chinese Pear Herbal Tonic Soup 川貝燉雪梨 was simmering on the stove. I still remember that first golden spoonful of deliciously sweet, light, soothing soup. Just the thing to sooth and heal sniffles and a cough. There's really nothing quite like Grandma's pear soup! Now, flash forward eons later, it's that time of the year again. The cool autumn air is creeping in and every one's starting to get sick. Yuck, I hate getting sick! But it happens anyways, regardless of one's desires. My little girl has finally started school and, well, you know how that goes, she's bringing home not only her homework (she has homework every night in kindergarten!) but also coughs and sniffles galore. So I've been making Grandma's Chinese Pear Herbal Tonic Soup for her! I, unfortunately, did not have a neighbor's juicy tree to pilfer from, so I went to the wet market and bought myself some Yali pears, or 鴨梨. But I think one could use any kind of Asian pear for this soup. The distinguishing characteristics of an asian pear is the high water content (almost 90%! ), the crisp texture, and the thin usually yellow sometimes green skin with brown speckles. Western pears have a more buttery texture. And these Yali pears are soooo delicious served just as fruit, the absolutely unique crunchy sweet juiciness is really satisfying, so be sure to get yourself some extra pears just to eat plain! There are only four ingredients in all for this Chinese Pear Herbal Tonic and you can get three of them at your local Chinese pharmacy store. First of all is a Chinese herb called Fritillary Bulb , or 川貝母. This herb sooths coughs and clear phlegm and body heat. It's a little bit pricey but worth it for this soothing remedy for coughs. 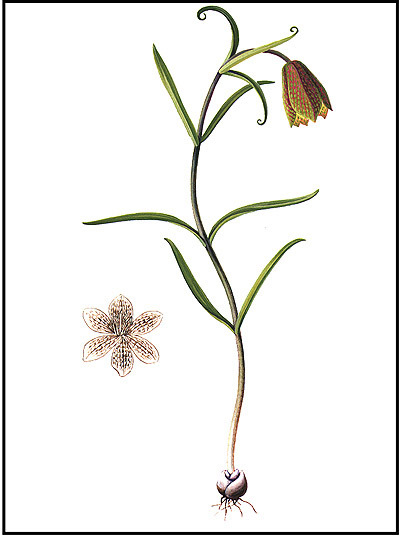 Interestingly, this herb is actually the bulb of a beautiful flower, the Fritillaria Cirrhosa, as you can see in the illustration below. The second herbal ingredient is the Northern Apricot Kernel, or 北杏仁. This herb helps soothe the lungs and stop the cough. Please do be sure to buy the prepared Northern Apricot Kernels that one finds at the Chinese pharmacy, as the unprepared ones (ie. skin on) are cyanide toxic and should not be used! When buying, differentiate between Southern 南杏仁 and Northern Apricot Kernels 北杏仁 as they look very similar. And last of all, my favorite, honey dates, or 金黄蜜枣. These little guys are amazing in all kinds of soup, from simple tonics to more complex Cantonese style slow cooked soups , or 老火湯, adding a sweetness and a richness of flavor that is really wonderful. Honey dates naturally sweeten your soup tonic as well as nourishing the body and warming the yang energy. Just throw these four things in a pot and simmer away. And just wait till you taste it! This tonic soup is supposed to be for my coughing little girl but (oops!) me and my 老公 somehow greedily accidentally drank it all up! So I've got another potful simmering away on the stove as I write this post. 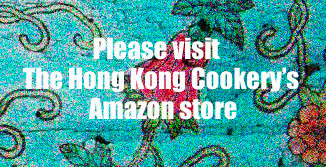 My Grandma's amazingly simple home made soup has actually been an herbal cure for hundreds of years in China! Besides providing truly delicious nourishment for a weakened body, this Chinese Pear Herbal Tonic Soup will help to sooth away your cough and clear away that yucky phlegm. Clean and peel pears. Slice into bite sized chunks, discarding the core. Add all ingredients into large pot and add enough cold water to cover by 2 inches. Boil over medium heat for 30 mins. Add boiling water at this point if water level is low. Simmer over low heat for another hour. Tip: The soup is naturally sweetened by the pears and dates. Tip: You can and should eat everything in this tonic soup. Super late comment, but do you know how long this would keep in the fridge? I mean we would eat within a week, but would it last a week? May I know your portion is for one bowl only ? I have followed your recipe except that I have added in 20 northern apricot kernels as I intend to cook for 3 pax. All ingredients just need to wash and throw into cold water for boiling? May I know can I add 20x northern apricot kernels instead of 10? And all ingredients just need to wash with cold water and put to boil with cold water too? Can 11 month old baby and 3 year old kid eat this recipe? How long they need to eat to stop the cough and cold? Eat before winter or anything when they get cough and runny nose? What about 南杏?can it be used? Hi, can I use red dates instead of honey dates?